We are very happy to announce the release of 23 new open textbooks, with significant contributions from post-secondary faculty in British Columbia. 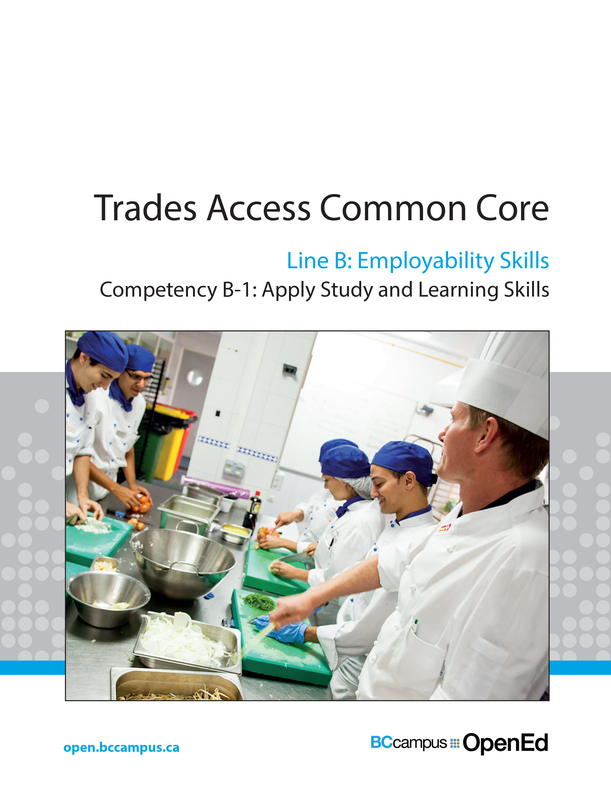 The concept of identifying and creating resources for skills that are common to many trades has a long history in the Province of British Columbia. This collection of Trades Access Common Core (TACC) resources was adapted from the 15 Trades Common Core line modules co-published by the Industry Training and Apprenticeship Commission (ITAC) and the Centre for Curriculum Transfer and Technology (C2T2) in 2000-2002. Those modules were revisions of the original Common Core portion of the TRAC modules prepared by the Province of British Columbia Ministry of Post-Secondary Education in 1986. 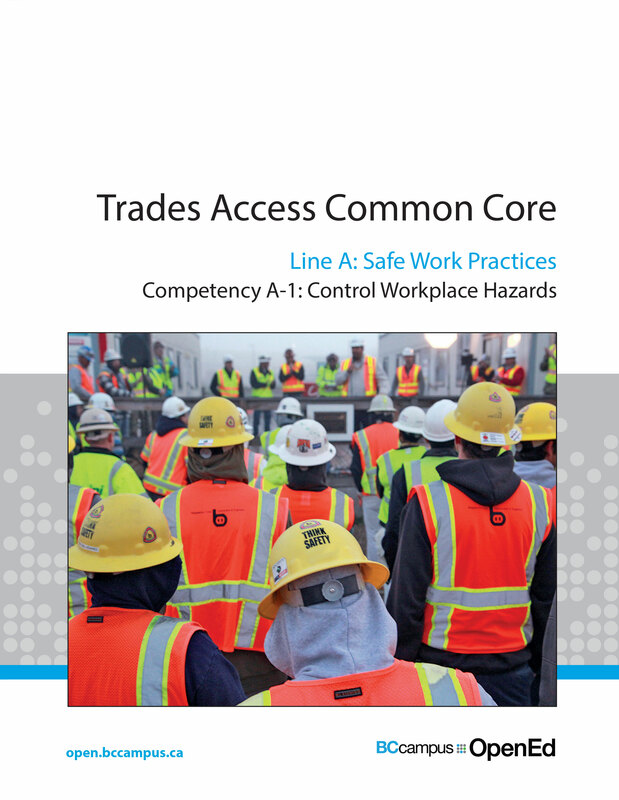 The TACC resources are still in use by a number of trades programs today and, with the permission from the Industry Training Authority (ITA), have been utilized in this project. 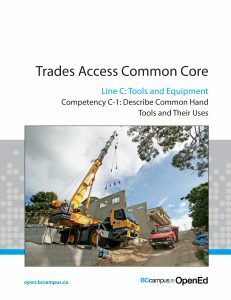 These open resources have been updated and realigned to match many of the line and competency titles found in the Province of BC’s trades apprenticeship program outlines. 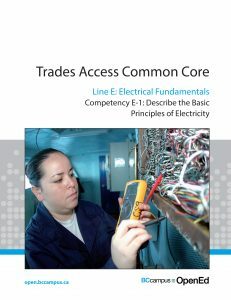 A review was carried out to analyze the provincial program outlines of a number of trades, with the intent of finding common entry level learning tasks that could be assembled into this package. This analysis provided the template for the outline used to update the existing modules. 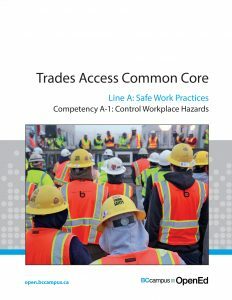 Many images found in ITA apprentice training modules were also incorporated into these resources to create books that are similar to what students will see when they continue their chosen trades training. The project team has also taken many new photographs for this project, which are available for use in other trades training resources. The following list of lines and competencies was generated with the goal of creating an entry-level trades training resource, while still offering the flexibility for lines to be used as stand-alone books. This flexibility—in addition to the textbook content being openly licensed—allows these resources to be used within other contexts as well. 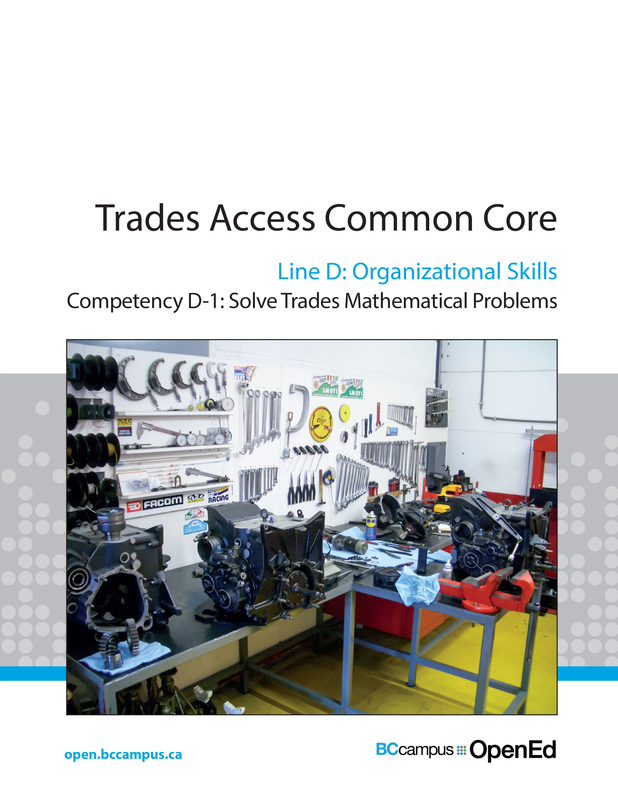 All Common Core Trades books are available in the BC Open Textbook Collection. the skills and knowledge a person would need to achieve to fulfill this goal. Self-tests at the end of each Learning Task, designed to informally test for understanding. expected to determine the requirements for this test, as required. Throughout the textbook, there may also be links and/or references to other resources that learners will need to access, some of which are only available online.